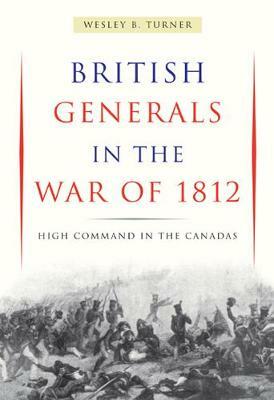 In British Generals in the War of 1812 Wesley Turner takes a fresh look at five British Generals - Sir George Prevost, Isaac Brock, Roger Sheaffe, Baron Francis de Rottenburg, and Gordon Drummond - who held the highest civil and military command in the Canadas. He considers their formative experiences in the British Army and on active service in European and West Indian theatres and evaluates their roles in the context of North American conditions, which were very different from those of Europe. Wesley Turner answers questions about the quality of each general's leadership, particularly that of Isaac Brock, the best known of these five generals. He argues that Brock's charge up Queenston Heights - the basis for his heroic stature - was brave but hardly a demonstration of competent leadership. Turner also shows us that while the other generals displayed courage in combat, they had to face problems raised by American military successes and by the strains of warfare on the civilian population. British Generals in the War of 1812 explores why these commanders succeeded or failed and why, except for Brock, they are all but forgotten.